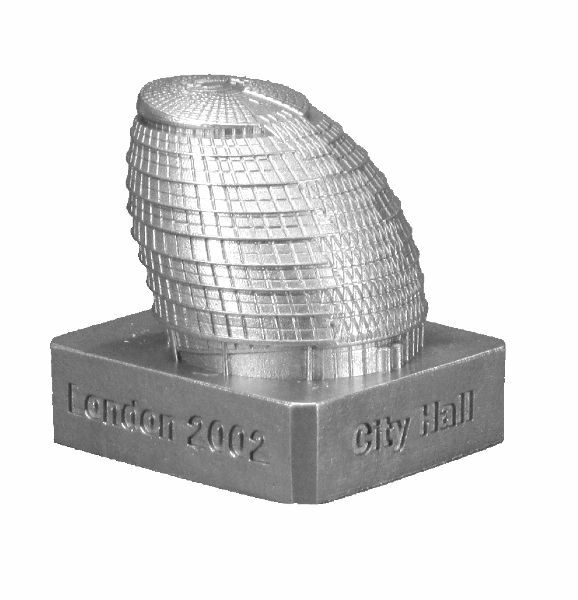 London City Hall is located at 110 The Queens Walk in London and was completed in 2002. This building was designed by Norman Foster and stands 148 feet tall with 10 floors. This pewter replica stands just over 1-3/8 inches tall and is finished in new pewter. This model's scale is 1 inch = 150 feet. Ive been around this building many times and this replica is spot on! A lot of detail in a tiny replica. Another great casting.